I'd have to say, Monster Munch was kind of THE recipe of the fall for me last year. If we totaled the amount of it I consumed last October, you would likely be disgusted and I'd be very ashamed. If you've made it, you probably can't blame me. The stuff is SO addicting! So what did I go and do this fall? Make it again, of course, except this time with the addition of Count Chocula. Go big or go home, right? When General Mills offered to send me their five exclusive Monster Cereals in time for Halloween, I couldn't resist. I don't think I've had Count Chocula in years and adding them to Monster Munch immediately popped into my head. Just when I thought Monster Munch couldn't get better...it did. 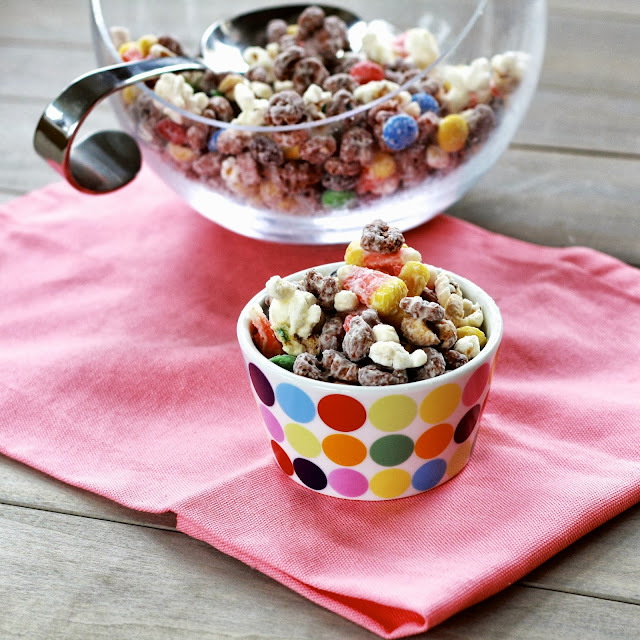 The infamous chocolaty cereal is the perfect crunchy addition to this sweet snack. Find a way to make this sometime this month and then find some friends to help you eat it! Count Chocula not your thing? Throw in one of the (fruity!) Monster cereals instead for a different spin on the mix. 1. 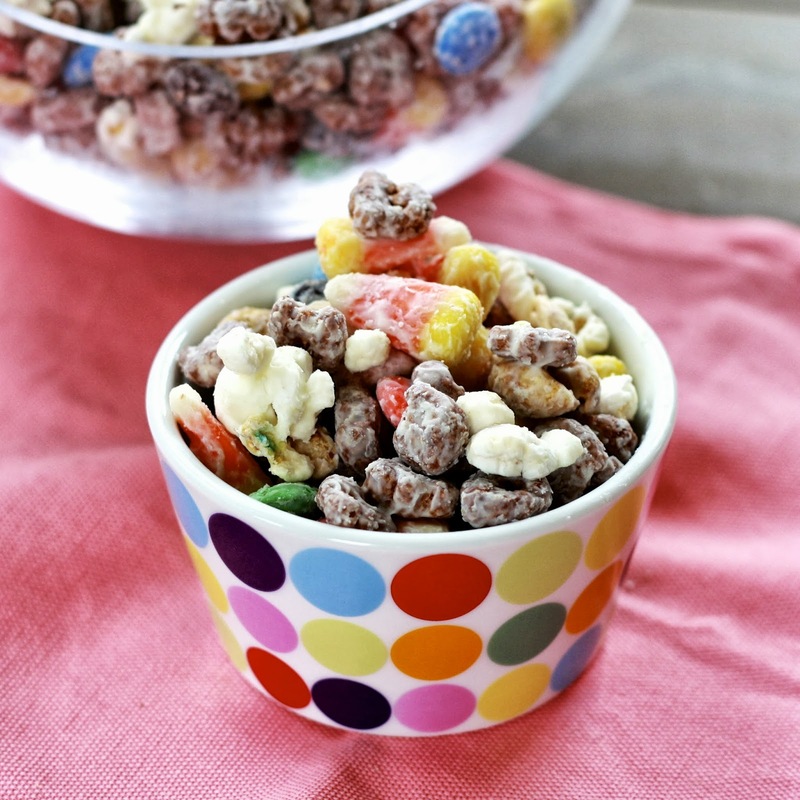 Combine popped popcorn, Count Chocula, candy corn, peanuts, and M&Ms in a large bowl (or 2 bowls). 2. 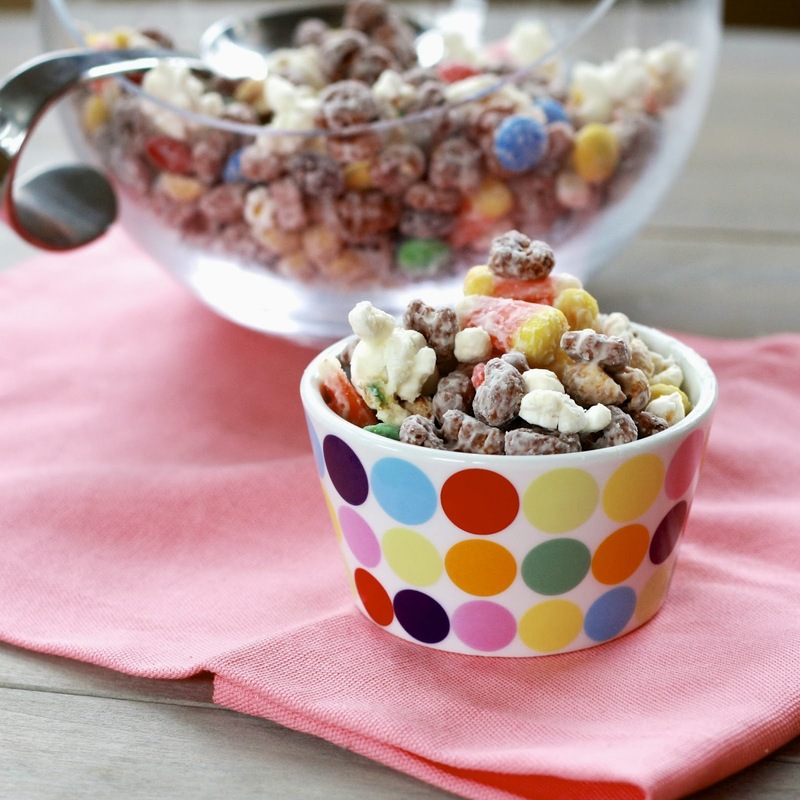 Melt almond bark according to package instructions and pour over popcorn mixture. Use a spatula to combine and evenly coat the mixture. 3. Pour mixture out onto waxed paper and allow to dry and harden. Break popcorn pieces into small chunks and store in an airtight container.